Valentine's Day Plans... What to do? Candy, flowers, jewelry, dinner, I think pretty much covers Valentine’s Day, but I was wondering if anyone spent Valentine’s Day differently or uniquely. So I thought I’d reach out and see what ideas romance readers had for Valentine’s Day. 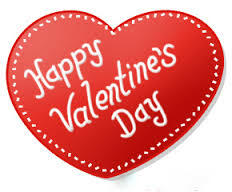 Leave a comment about your plans or maybe a past Valentine’s Day you enjoyed or maybe didn’t enjoy. I have a busy Valentine’s Day coming up this year. Breakfast out with my granddaughter, then shopping, always fun. Later in the day, I’ll be with my grandson either having a Nerf war, which I’m pretty good at, or playing video games, which I’m not good at, but it sure has us laughing a lot. I’ll be spending the evening, possibly into the wee hours of the morning, with one hot Scot, Ruddock, from Highlander of My Heart. He’s eager for solitude, but then he meets Sorrell. Newsletter subscribers will be getting a sneak peek of Highlander Of My Heart, book one in the Macardle Sisters Trilogy near the end of February. The sneak peek will be available only to my subscribers so if you want a peek, sign up now so you don’t miss it. We can all use some decadence in our life so get this easy decadent recipe …..Easy Oreo Truffles….. to make and share for Valentine’s Day! Whatever your Valentine’s plans are… ENJOY! Though do remember, you can always spend it with a hot Scot!